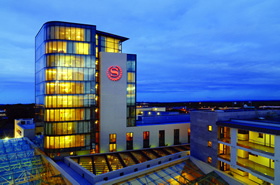 Located in the heart of Ireland just off the M6 motorway and less than a five minute walk from the main bus and rail stations, the Sheraton Athlone Hotel offers an ideal central location for the leisure traveller and is fast becoming one of Irelands premier leisure destinations. 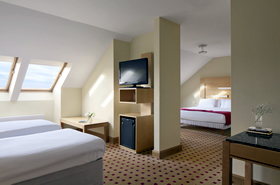 Sheraton Athlone Hotel is the perfect base for all there is to do in the midlands. Climb one of Ireland’s oldest hills, sail Ireland’s longest river, slide down Ireland’s largest floating slide, cycle Ireland’s newest greenway… or just relax and soak it all in, we have just the right amount of fun for you and your family. Join Super Splash Mania each morning for wacky pool races, water basketball and more! Evening fun- The fun continues with games, dancing, arts & crafts and movie nights! For teens, our new chill out Teen Zone is open all summer! 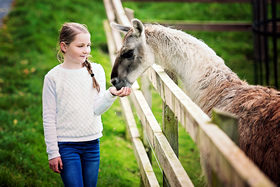 All family breaks include a family activity voucher to explore the lakelands and daily ‘Sheraton Dragon Adventure Club’ with healthy meals provided. The hotel offers 167 superbly appointed deluxe bedrooms with 2 opulent penthouse suites and 1 stunning presidential suite with double height floor to ceiling glazing. Guests will be spoiled for choice with the sumptuous menu from La Provence fine cuisine restaurant, Harvest Cafe and the contemporary Sheraton Bar. 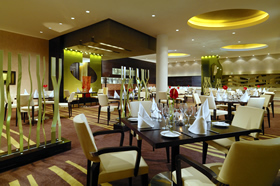 Simply send us a message for assistance with planning your Fun Day out in Sheraton Athlone Hotel.